At Dressember, individuals choosing to commit to wearing dresses or ties for the month of December whilst fundraising and spreading the word about trafficking are not just called participants. They’re called advocates. You might consider the difference between these terms subtle. In fact, when I first decided to join the movement, I used the words interchangeably. After all, the Merriam-Webster dictionary defines a participant as, “one who takes part or shares in something.” Was that not exactly what I would be doing by donning dresses and campaigning? Over time, as I became more familiar with the vision and heart of Dressember, I have come to understand the significance of the choice of word advocacy. 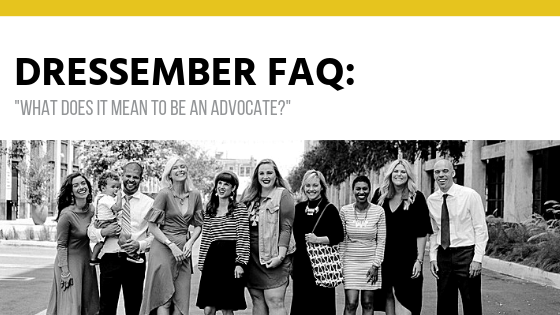 Today, we’ll unpack what it means to be an advocate in the anti-trafficking movement through Dressember. The truth is, participation, unlike advocacy, is a finite commitment. I can participate in Dressember one year and, by the following year, entirely forget about the cause it stands for. Advocacy, on the other hand, involves a greater and long-lasting sense of dedication and support to the issue at hand. Being a Dressember participant can easily end on January 1st. Being a Dressember advocate, however, means being involved beyond the month of December. Advocacy continues until all are free. Dressember isn’t just a style challenge and financial campaign. Our hope is not for people to merely get engaged for a season, post a few pictures of dresses on social media or donate to the cause. While these motivations are inherently important aspects of Dressember involvement, they are not the end goal. 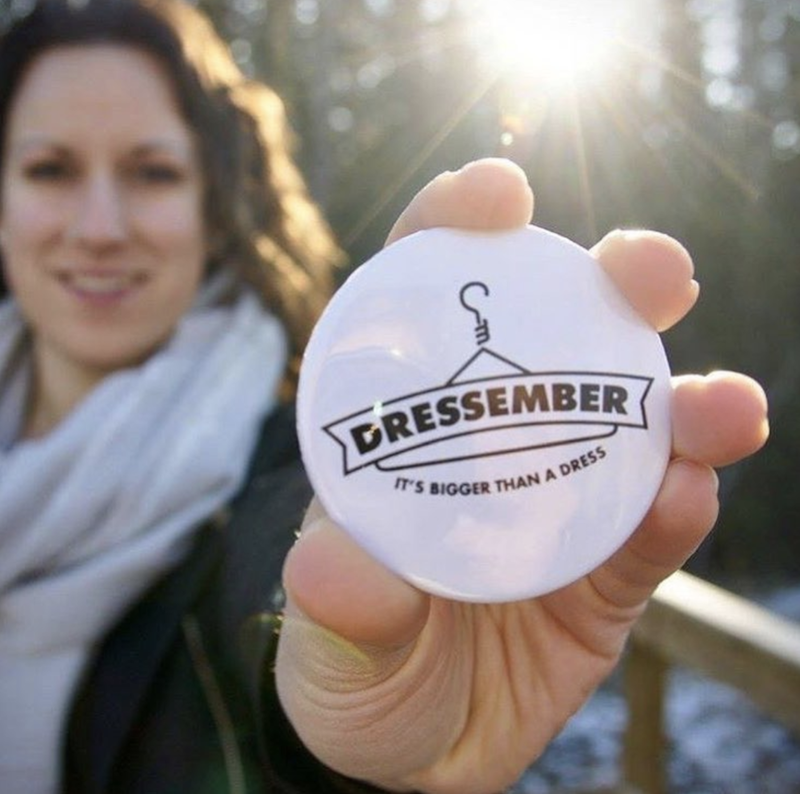 When individuals and groups sign up to take part in Dressember, we view them as people who live out advocacy in their daily lives to create a better world. Advocacy entails starting hard conversations, challenging default ways of thinking and fiercely defending the marginalized. In my experience, committing myself to advocacy has forced me to acknowledge my own inaction and ignorance, and encouraged me to make shifts in the way I speak, think and consume. Now, beyond the 31-days of Dressember, I commit to continue fighting for freedom. I love the way Dr. Seuss nods to advocacy in his children’s book, The Lorax, when he says, “Unless someone like you cares a whole awful lot, nothing is going to get better. It’s not.” This is at the very heart of the work of an advocate. Anti-trafficking advocacy is about realizing the gravity of the crime at hand, the desperate need for action and making a lifelong commitment to furthering the cause. It is about understanding that your concern and voice can make a difference, rather than doing the bare minimum or complacently waiting for someone else to step up. Today, will you join the army of Dressember advocates whose work will extend the month of December, the fundraising goal, the number of dresses in your closet? Will you commit to being a freedom fighter and human of justice until freedom and justice prevail? 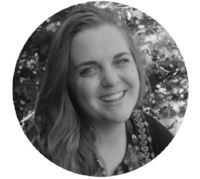 Jess Debanne, a proud Montrealer, is an International Development major at McGill University, minoring in Communications and World Religions. You can find her reading a book in a coffee shop, planning a trip to a new city or laughing with her loved ones. Her passion for social justice issues has inspired her work in nonprofit organizations both at home and in the developing world.